Amanda is a small town girl. She was born and raised in Skidway Lake, Michigan. She still lives in the home she grew up in though her parents have been dead now for five years. She has been miserable with her mundane life for some time and wants adventure, excitement. But more than anything she wants love–a new life out of this small town. And though, her mother had warned her to be careful what she wished for; she wouldn’t realize the strength of that warning until she finds the body in the woods by her home. Amanda’s whole life is about to be turned upside down when she finds a body of a young woman. However, the body is not the only one that will turn her and this small town upside down. The sheriff, Sheriff Hugely, finds more dead bodies and the town is sent into a panic. The disturbing and gruesome deaths generate fear and that disturbingly settles in the heart of the whole town–let the nightmare begin. To make things more profound, Amanda is in a car accident, which takes her best friends life. 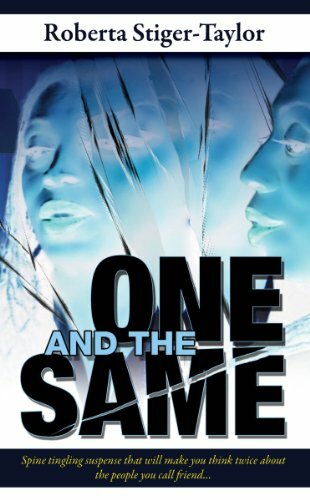 She begins to believe a dark man is responsible for her friend’s life—at least, she believes it was a man. She begins to see a dark stranger pop up here and there and, for a period of time, she thinks she is losing her mind. Her life has suddenly been spun out of control resembling the horror stories and movies she loves so much. Her dark stranger has to be a figment of her imagination, right? However, that theory is short lives when she finds out who he truly is. Her humdrum life will never be the same and neither will the lives of those in the small town. Who knew all her dark tales and horror movies would come to life and become a part of her life. Amanda is whisk away on a dark adventure she will never be able to leave but is a tragedy or a blessing. 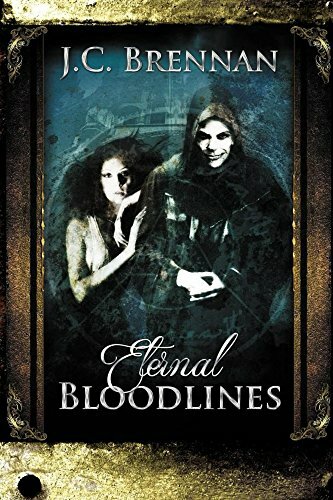 Become enthralled in the mystery and darkness, as Amanda is absorbed in a world she once believe to be only fantasy. 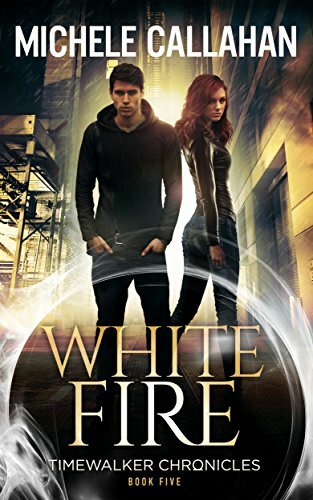 What secrets lay in wait for her and will she be able to handle her new reality. 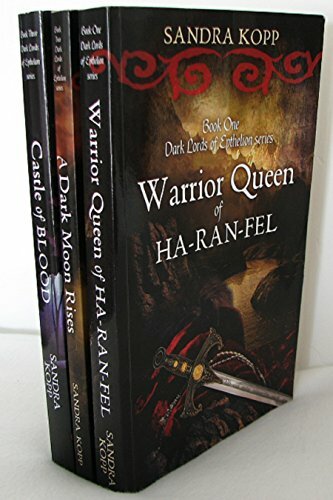 Volume 1: Warrior Queen of Ha-Ran-Fel: A teen-aged girl watches her parents’ murder as her world crumbles around her. 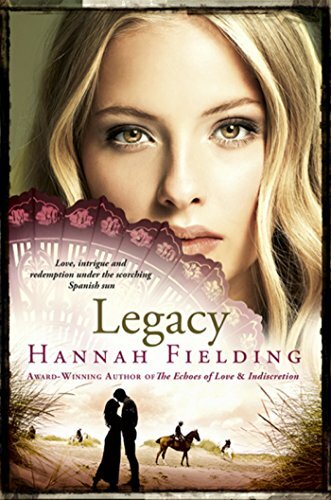 Consigned to slavery under a tyrannical task master she feels stripped of all hope–until making a daring escape. With just a step separating her from death, she endures maelstroms, near starvation, and a dangerous crossing of the Ashgard River before reaching the land of the Horse Lords, only to meet with suspicion and contempt. Can she muster the mettle to prove her worth, save her world, and become the Warrior Queen of Ha-Ran-Fel? 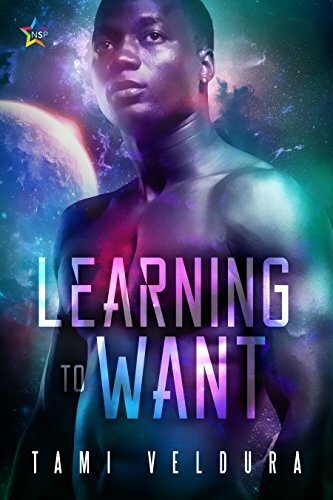 Volume 2: A Dark Moon Rises: When handsome, dark-haired farmer Eldor Rand steps into Melinda’s life she thinks she has realized her fondest dream. But once the vows are spoken, his demeanor takes a dark turn, plunging Melinda into a desperate fight for her life. Volume 3: Castle of Blood: High in the Mystic Mountains, a shining new castle stands between the rocky spires of a menacing peak. Within lurks an ancient evil that cannot be killed. 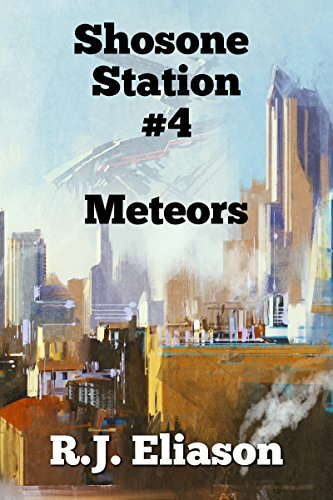 . .
Angelo Carava happens to be the best scientist that has ever lived but despite his formidable talents he has so far failed to understand the universe he inhabits – a universe with only seven stars. 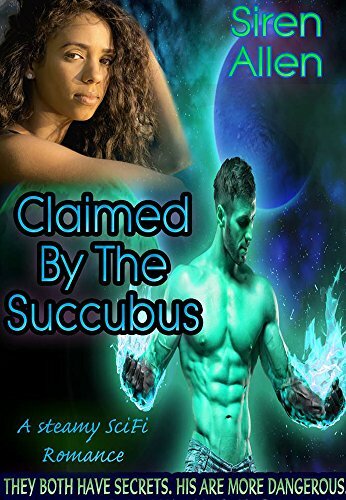 His attempts to find the answer bring him into conflict with religious establishments who want to silence him, rival scientists who both admire and are jealous of his achievements and alien races who want to abduct him for his genius. Meanwhile, events in a hidden eighth star system threaten to overwhelm the other seven. And unknown to Carava he is being inexorably sucked into the nightmare and that his actions will have consequences centuries later. 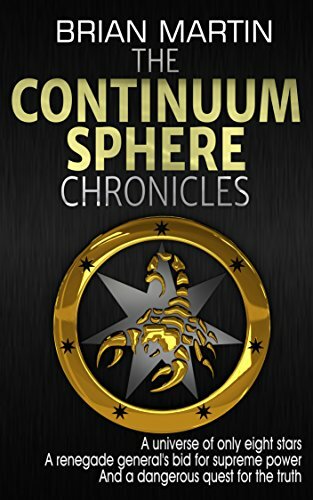 Dan Oleson has been chosen to serve as embassy security on Saras Station in the Consortium, but he will soon discover the dangers are of a different type then he’s expecting. Rumors are swirling about an asteroid or some other large body colliding with the earth. Would the Consortium allow such a thing to happen? More importantly, it seems the rumor may have started on Shin Station, of all places. Can Dan find the answer to this riddle? Less than a year ago, they arrived over earth’s sky. They call themselves the Galactic Consortium and they are human, or at least, simian — from the same genetic line as humans. They claim to have terraformed this planet centuries ago to serve as a base for their exploration of this galaxy. What happened to the settlers, why none of us remember this, remains a mystery. For America the concerns are more immediate. Will the Consortium accept our independence? Shoshone Station is the first joint enterprise, a solar power, space station parked in geostationary orbit over Denver, Colorado. It’s been “gifted” to America, but as Sherman Lannister takes command he wonders just how much control the new American crew will really have. After all, what do they know about running a space station? For Sophia, a homeless transgender youth from Denver, and many like her the station is a second chance at a new life. But what will she do living amongst the stars? A simple photograph, encased in a beautiful crystal frame, the female executives appearing one and the same, their faces evenly blended so you can’t tell one from the other, best describes the disturbing events invading the VP’s previously uncomplicated world, forcing her to deal with an emotional side of life typically left simmering on a low flame on the back burner of her career-driven existence. FREDA JAMES, the VP of Sales, determined to make a name for herself in the competitive software industry, faces her toughest adversary to date. What she couldn’t possibly know is STACY GREEN, the company’s new manufacturing consultant, has a dark secret. Wildly driven to eliminate any female standing in the way of her own success, Stacy quickly learns Freda is a force to be reckoned with in the boardroom, but not without her own demons. With the VP’s personal life exposed, the consultant goes for the jugular, opening the gates of hell, releasing every weapon in her deranged arsenal to grease the skids of Freda’s demise, with deadly consequences. A variety of personalities color this intriguing tale. ANTHONY TURNER, former gang leader, now successful businessman feared by anyone who’s heard his story. ERICA TURNER, his beautiful and equally accomplished wife, is Freda’s best friend, and warns the VP of the consultant’s unhealthy obsession with her. PATRICK PALMINTERI and DARIUS ARMSTRONG are the men who love Freda and would do anything to protect her. Each play an intricate role in the explosive conclusion, exposing a disturbing revelation that will make you think twice about the people you call . . . friend. 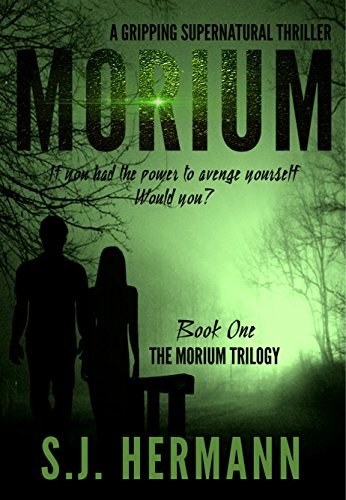 MORIUM discusses the moral dilemma of doing what’s right against getting revenge. When your dignity has been shattered and your life has been a living hell… what is RIGHT?